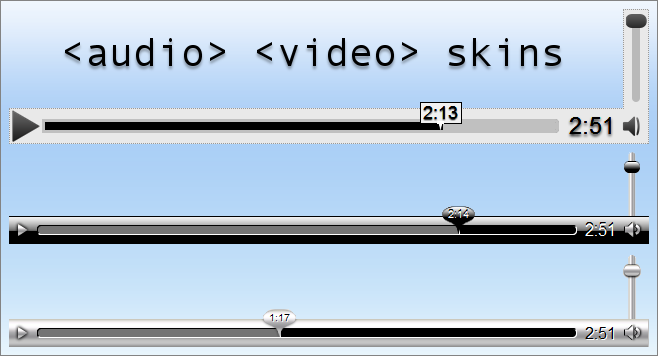 Inspired by the need for larger media player controls that are displayed on the media player for open media (audio and video) now supported by Firefox 3.5 (awesome isn't it), I created what I call a large, high visibility skin. While it's true that one can use full page zoom to enlarge the size of a video (now you know), they may not always want to enlarge the whole video so the Hi-Vis-Light skin allows me (and hopefully others) to see the media controls at even small media window sizes including and especially the time and duration labels. 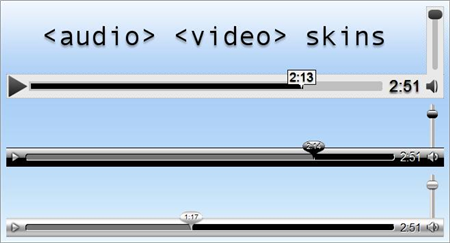 After I discovered how easy that it was to edit the videocontrols.css (though very time consuming), I decided to create a few more skins for the media player controls. I have others in the works including more colorful ones and a Hi-Vis Black one, and I'm sure that once it gets out that this is a piece of cake to do (or pie, whatever you prefer), there will be quite a number of new media player control skins being created including by those that will feel the need to create stupid ones that emulates Windows Media Player (etc) which of course goes against the grain of the open media concept itself, but hey, whatever blows your dress up. Enough yapping. Let's get to the goods. You can copy and paste the coding for the desired skin into your userChrome.css, or create a new style in Stylish (also get Stylish-Custom, it rocks!). Whatever skin you go with, it will be applied to both video and audio controls and they scale surprisingly well when using full page zoom or the super cool and new Full Screen Video add-on. 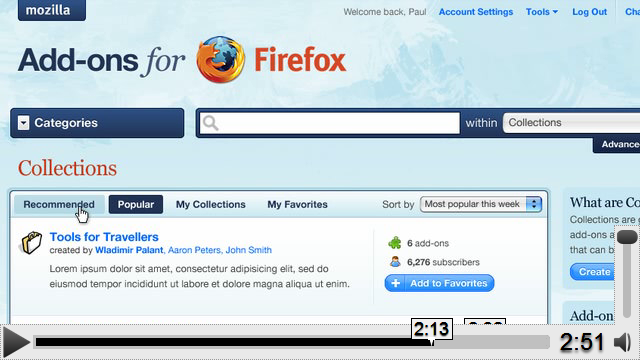 has been changed from 16px to 12px.